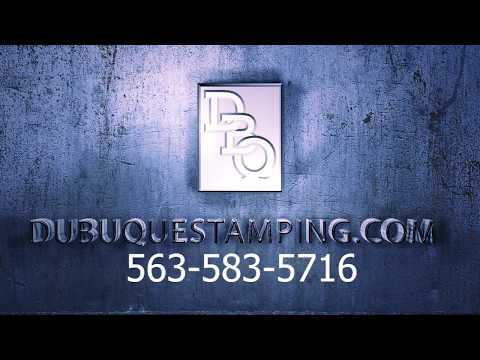 Videos » Dubuque Stamping & Manufacturing, Inc.
Dubuque Stamping and Manufacturing, Inc. has been in business since 1948 and would love the opportunity to work on your next project. Watch our overview video to learn more about our services, our mission, and how we could improve your lead times. If you are interested in joining our team please contact Express Employment Professionals on their website or by calling them at 563-583-1600 . If you are looking for a job with competitive wages, great benefits and a family atmosphere, then look no further. Factory jobs are a growing demand in America as production of High Quality products return to being Made in the USA. 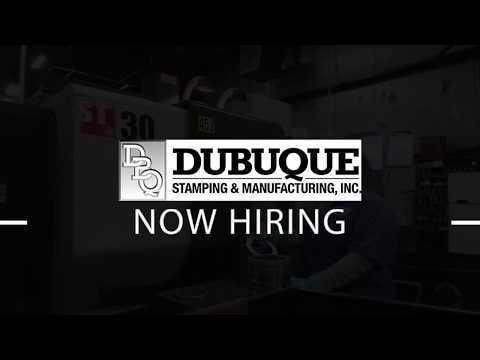 Positions Include: Press Operators, Maintenance, CNC Machines and more. Available on multiple shifts.